Designed in Australia by mother/daughter duo Pea & Greer, Piyama is a sleepwear & loungewear label inspired by a coastal, bohemian lifestyle. Inspired by endless summer days spent in the tropics, Piyama evokes an enviable lifestyle of luxury living. The versatile range covers high quality sleepwear, loungewear and beachwear. Natural, soft flowing fabrics, featuring original textile print designs are hand-crafted into dreamy, feminine ensembles. Wearability and comfort are the cornerstone of the design process, which is complimented by the laid-back-luxe appeal intrinsic to Piyama's identity and soul. Versatility is a key element featured in all our designs; Piyama is made to be worn in the bedroom....and beyond. 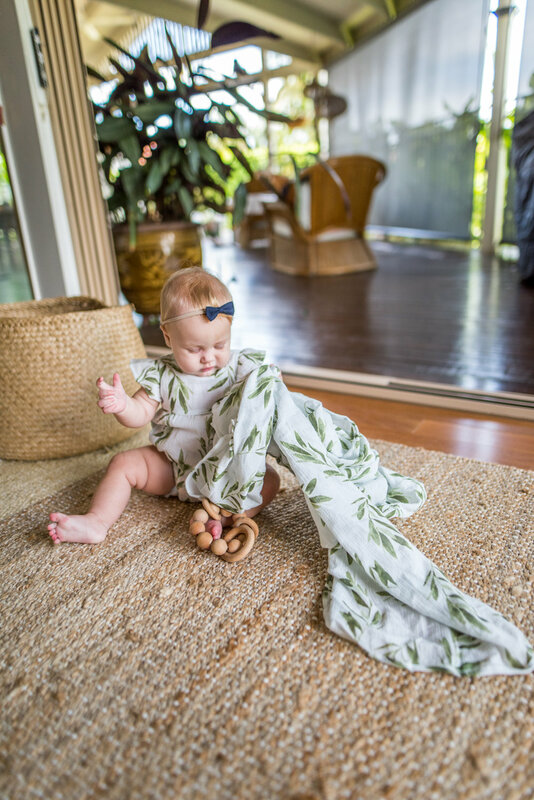 Baby Piyama Petite collection features 100% pure cotton crinkle fabric, hand-stamped with our original textile designs, each garment is hand-made with love, and pre-washed. Fun, fresh and happy colour palette makes it a beautiful gift idea for baby showers, mums-to-be and their bubs. The Baby Girls Romper is a cute, easy summer romper, with elastic and buttoned nappy closure, designed for babies 0-3 mths, 3-6 mths and 6-12 mths.